5G-Xcast is proud to announce that deliverable D6.2 on Development of Showcases and Demonstrators is now released and can be downloaded from this link. 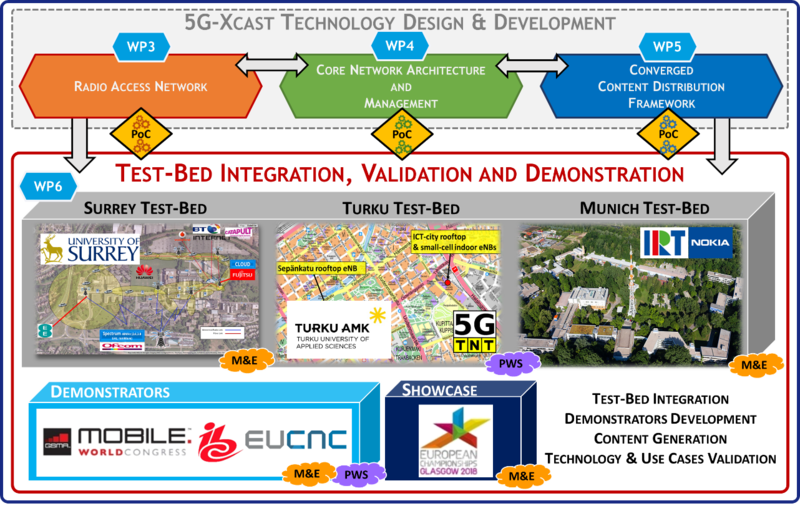 This document presents the nine demonstrators and a showcase developed within WP6 of the 5G-Xcast project. The sections for each of the nine demonstrators first discuss the concept of the demonstrator itself. This is done in the context of the use cases. The sections then contain a technical description. The development plan is then presented with a timeline. Finally, a record of the events attended by each demonstrator is given. 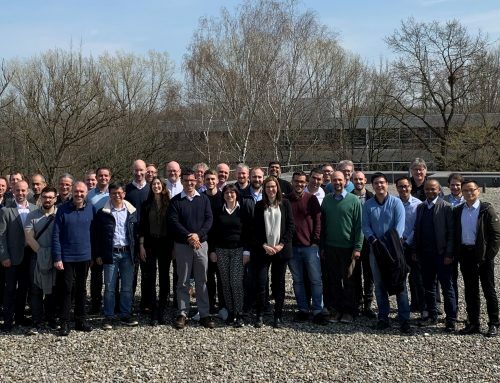 The document is concluded with some information on the 5G-Xcast Showcase at the European Championships 2018. The demonstrators predominantly cover use cases belonging to the two verticals: Media and Entertainment, and Public Warning. A summary of both the Media and Entertainment Hybrid Broadcast and the Multimedia Public Warning use cases are given in this document. The demonstrators are targeted at selected events (for example EuCNC 2018, IBC 2018, MWC 2019 and EuCNC 2019). 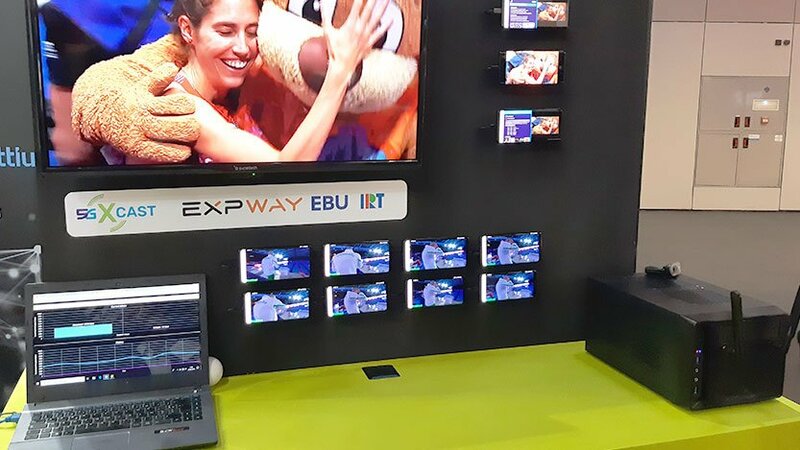 Furthermore, a showcase was organized in connection with the European Championships 2018 to demonstrate the Hybrid Broadcast Service. IRT and EBU present their demonstrator, which targets the Media and Entertainment Hybrid Broadcast Service use case. This demonstrator is focused on the delivery of live TV and the access to additional on-demand content on mobile phones and TV-sets. 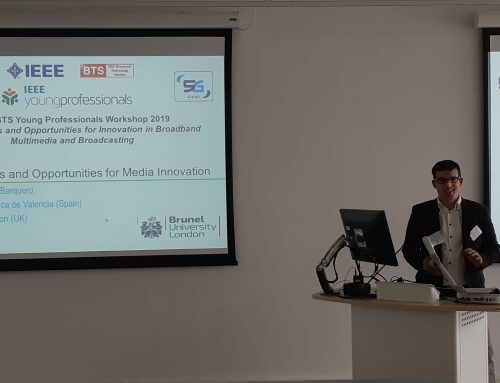 Broadpeak present their multicast Adaptive Bitrate (mABR) demonstrator, which is in collaboration with the Sat5G project from 5G-PPP Phase 2. This demonstrates caching and multicast content/VNF distribution to the edge over satcom, using low latency with mABR Live streaming and OTT Streams Synchronization. Fairspectrum and TUAS present their spectrum management demonstrator, using a spectrum manager developed by Fairspectrum. This targets the Public Warning vertical. 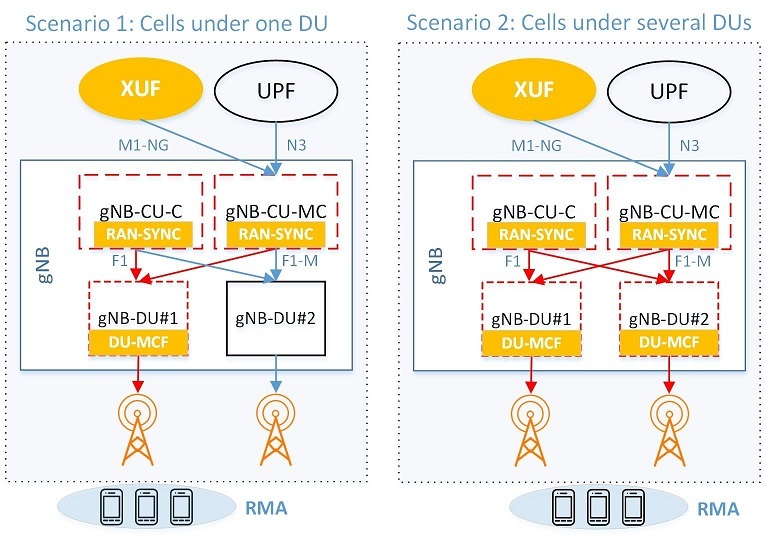 Expway, IRT and EBU present their demonstrator, which shows a 5G network able to switch between unicast to broadcast according to user demands to optimise spectrum resources by the implementation of MBMS operation on Demand (MooD). BLB, in collaboration with IRT, present their demonstrator, which shows a unicast stream being received via LTE and Wi-Fi interfaces, with a seamless switch between them and the ability to increase aggregated throughput via Multi-Link. 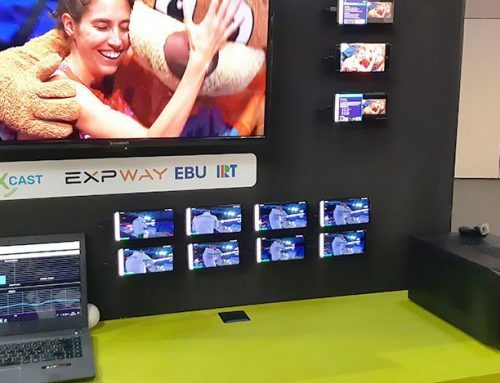 BT and Expway present their demonstrator in which the live, unmodified, BT Sport commercial service can be integrated using the 5G-Xcast content distribution framework to benefit from multicast/broadcast distribution. 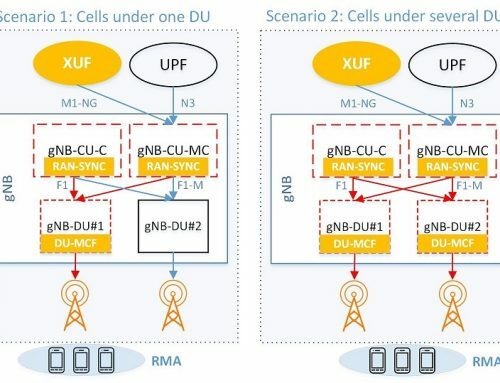 It shows content prepared for unicast distribution being distributed over both fixed and mobile networks with dynamic switching between multicast/broadcast and unicast delivery as the audience size changes. BBC present their demonstrator, which shows an object-based approach to content delivery. The content will be delivered as a number of objects over multicast (using the DASM system) and unicast. The user equipment then composites the objects depending upon the environment and user preferences. TUAS, Fairspectrum, LiveU and one2many present their demonstrator, which targets the Public Warning vertical. They demonstrate using dynamic spectrum management to send public warning multimedia alerts to the user equipment. Nomor Research, Bundleslab and Broadpeak present their demonstrator, which shows the gains and trade-offs in resource consumption, spectrum efficiency, service coverage, and quality of experience when multicast is introduced as a network optimization for delivering popular content, and the improvements in the observed trade-offs achieved by introducing multilink delivery for user equipment with a poor multicast channel signal. All the demo records will be updated once the demos have been presented. The conclusion, summary and outcome of the demos will be given in the upcoming Deliverable D6.4.